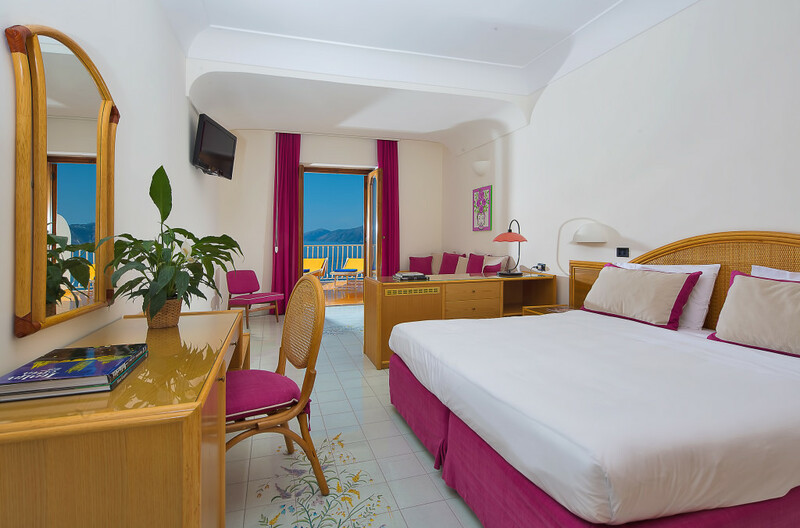 Hotel opens 20 Apr and closes 26 Oct 2019. 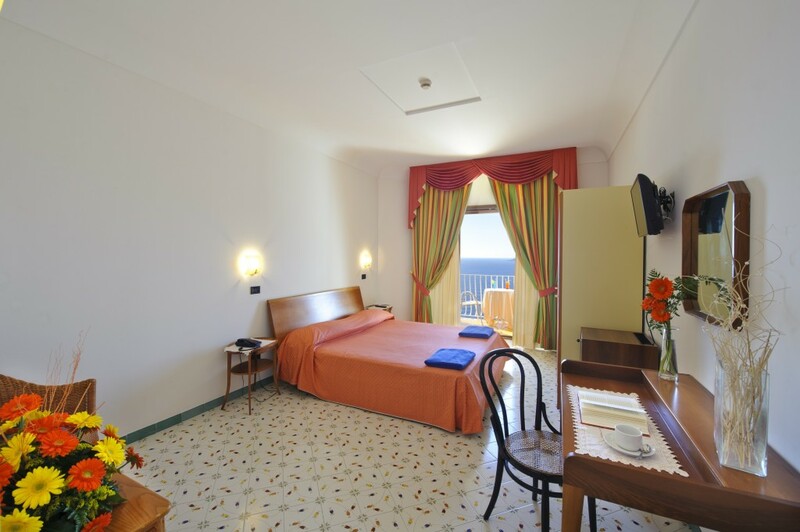 * Prices depend on room size, how many pers per room and room location within the hotel. 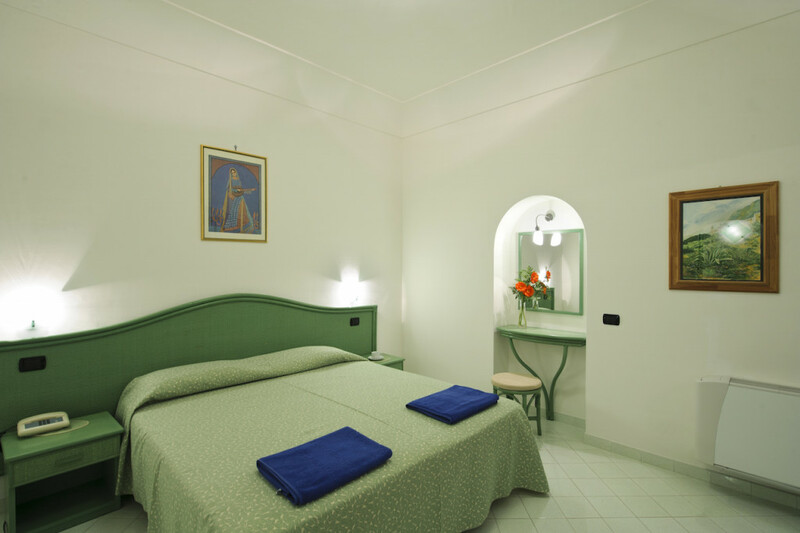 High Season: 25 May – 5 Oct: 320 – 6, 0 euro per double room per day. 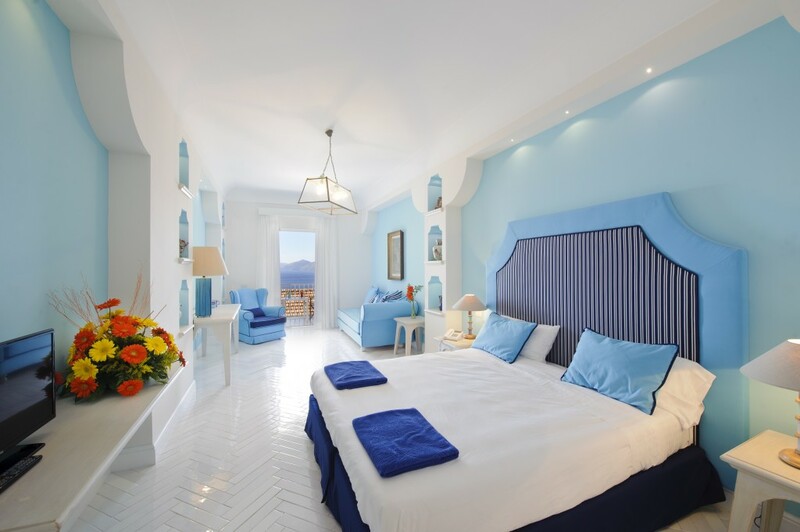 This is the surprise hotel of Praiano. 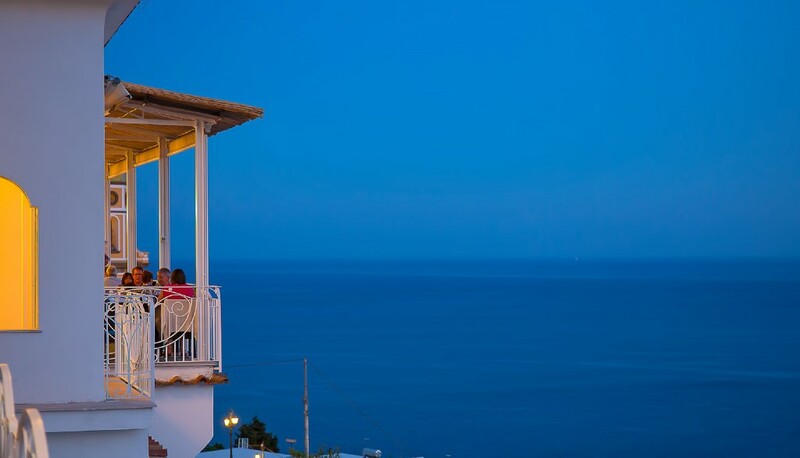 Although Tramonto d’Oro (yes this means Golden Sunset; a bit of Hollywood ) is on the main road of town, it’s on the sea side or the quieter side of the road and has one of the prettiest roof top swimming pools on the coast that over looks the entire Tyrrhenian Sea which hugs the west coast of Italy. 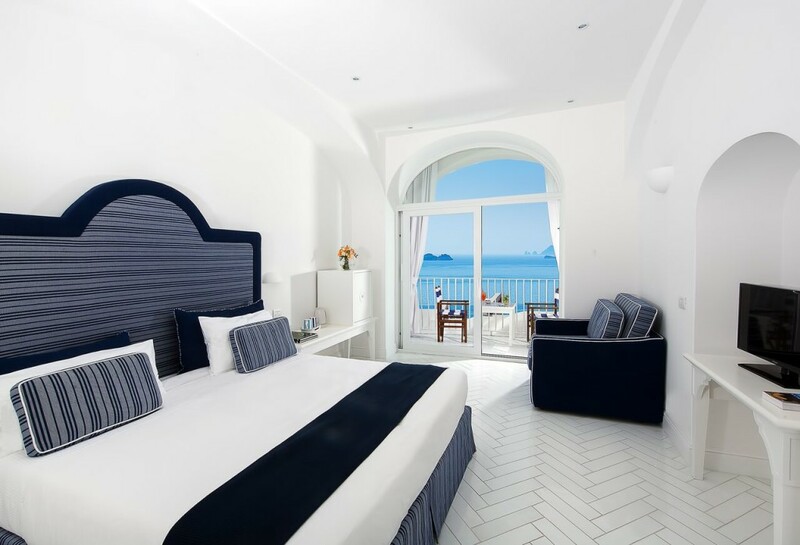 From the island of Capri to the port of Salerno; this is your splendid view. 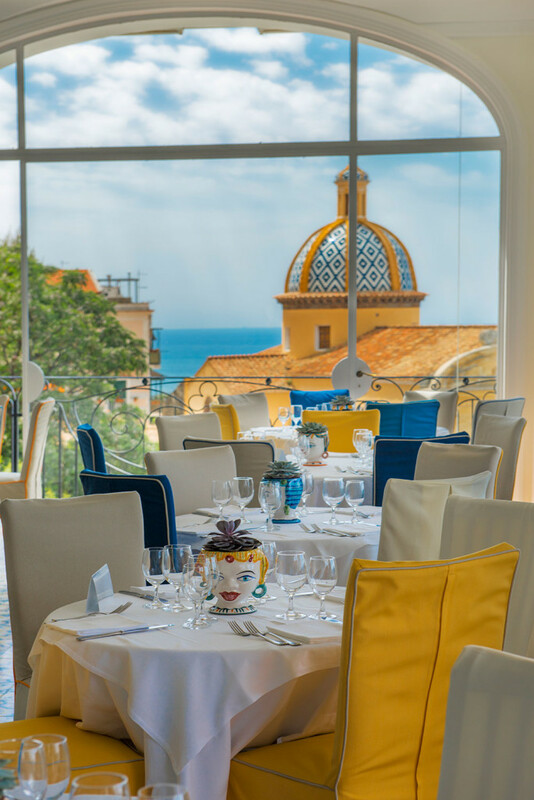 They also boast a panoramic dinning room with delicious food! 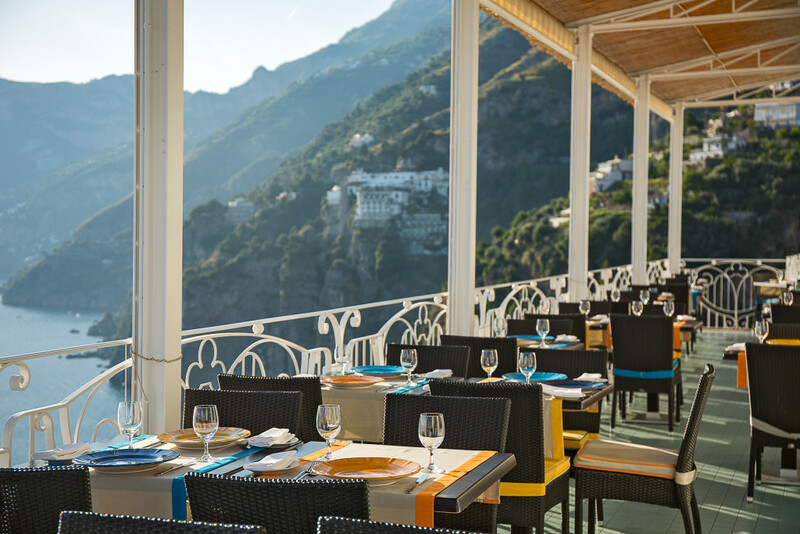 AND this quiet retreat is only 6 kms from the bustling town of Positano. 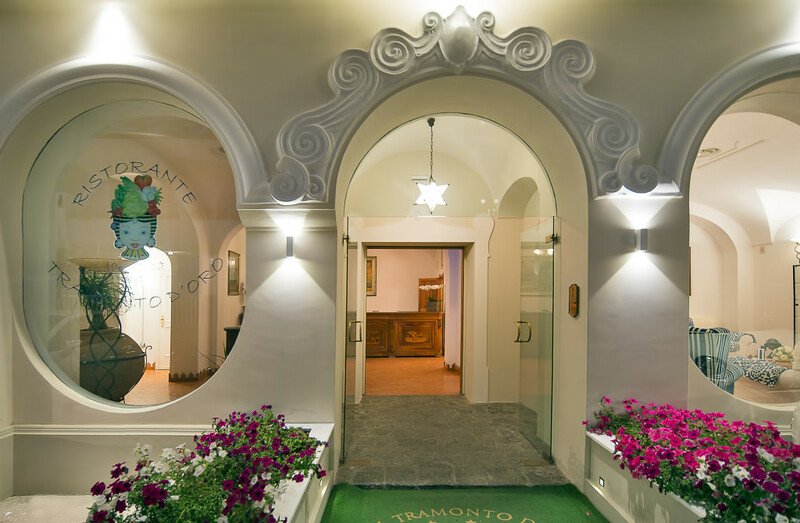 The History of the present Hotel, dates back to 1952, when Donato Esposito first started with the opening of the “TRAMONTO D’ORO” Bar, which later developed into a Restaurant and finally became a Hotel. 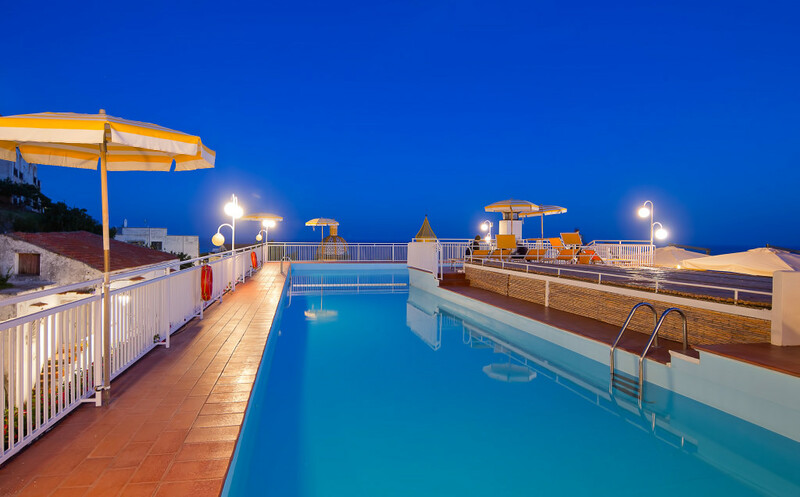 This hotel also has the best pool in Praiano and fantastic road access! It is possible to cancel your reservation 7 days before your arrival; after that we will charge you 1 night every two nights reserved.